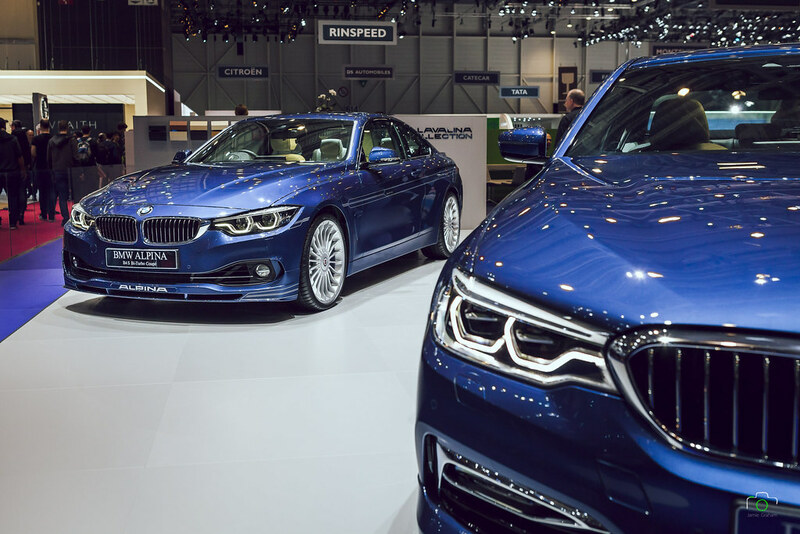 87 Years after it opened its doors to the public, the International Geneva Motor Show is still a must attend event for any avid Petrolhead. Running across 10 days in Geneva’s Palexpo the International Motor Show plays host to over 250 exhibitors and around 680,000 visitors each year. With pretty much every manufacturer I knew of (and just as many I didn’t know existed) putting on a display I couldn’t wait to make the trip for the first time. Celebrating 70 years of production Ferrari put on quite a display including the launch of the new 812 Superfast, the most powerful V12 road car ever to roll out of Maranello. Although with a 3 year lead time I don’t think we will be seeing any on the roads for a while yet. I was lucky enough to also be given access to the Ferrari Tailor Made section, where prospective owners can configure their next purchase. 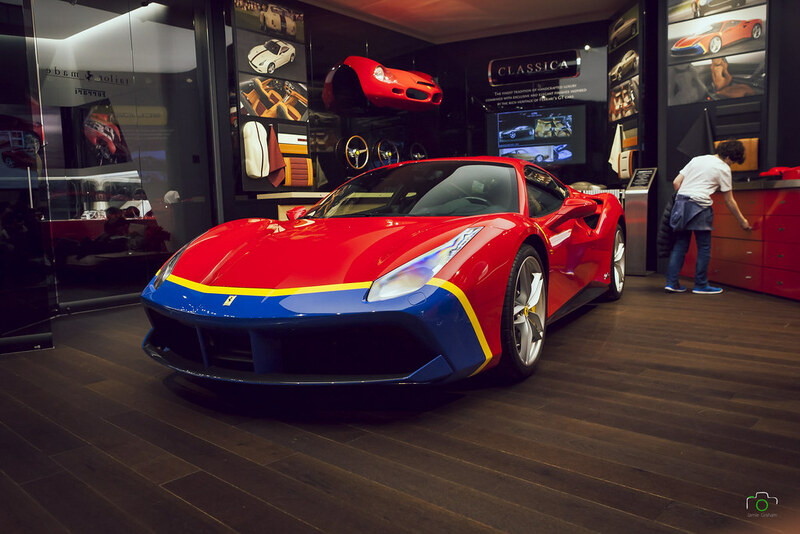 On display in this section along with a plethora of leather and paint samples was a “Rosso Corsa” red, “Blu Laguna” blue & “Giallo Modena” yellow 488 GTB, inspired by the 290MM driven in the 1956 Mille Miglia. Directly opposite this was the Alfa Romeo section, which for me was one of the most impressive stands, both the Stelvio & Giulia Quadrifoglio are works of art. Unfortunately everyone else also seemed to think the same leaving it virtually impossible to get a nice picture. 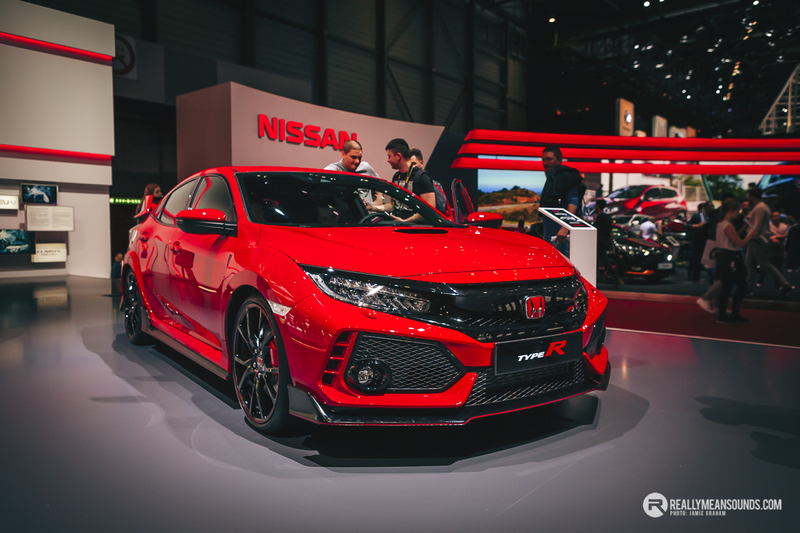 At the other end of the hall the Japanese didn’t disappoint, Honda put on a strong show after unveiling the new Civic Type R, displaying both a white and a red model. Personally, I preferred the current FK2 model! It didn’t take long to get distracted from the Civic though, with the new NSX and a MY17 GT-R Nismo directly opposite. 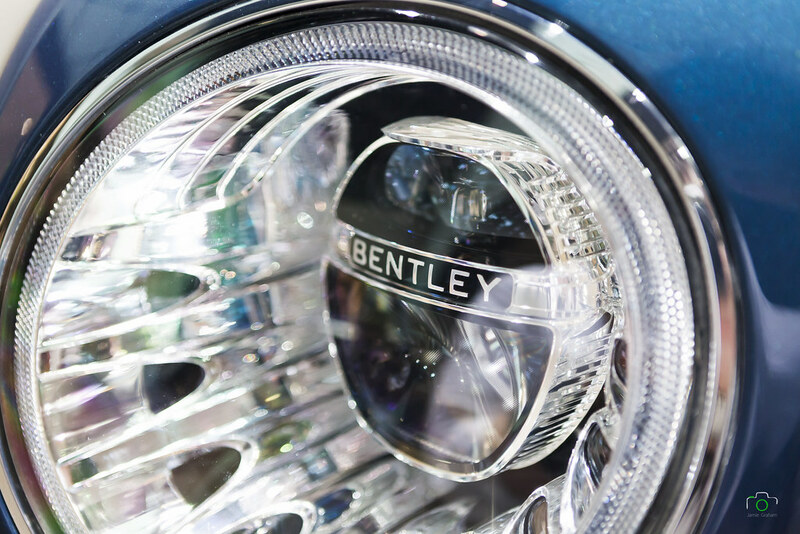 After eventually making my way to the upstairs hall and managing to make my way through the swarms of people surrounding Lamborghini I arrived at the Bentley stand where I was greeted with the stunning EXP 12 Speed 6e Concept, Bentley’s idea of an exquisite yet sustainable future in luxury sports cars. Yes, it’s electric. 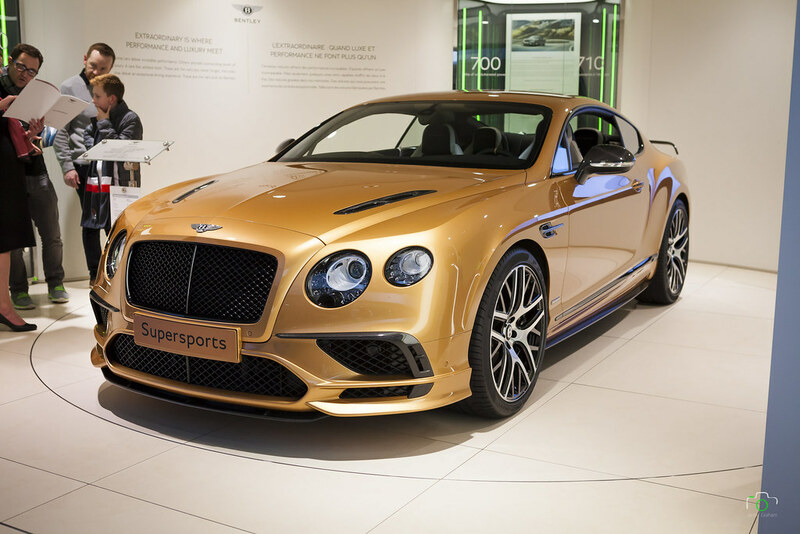 Hiding around the corner away from the public view was the 2017 Continental Supersports, finished in Sunburst Gold and sitting on 21” Forged wheels. The W12 engine is capable of delivering 700 horsepower, managing 0-60 in just 3.4 seconds. Overall I really enjoyed the show, although I wish I had a couple of days there to get round everything! I’d recommend it to anyone who has never been. The Palexpo itself is only a 5 minute walk from Geneva airport making it extremely handy if you just fancy a day trip. I really need to get over to this some year. Fantastic photos from both of you! Thank you @warren Lol, thank you so much @Gaz - appreciate it! @Boydie definately go if you get a chance! The flights were mental this year but show itself is cheaper than any local shows! Rest of the photos will be online soon! What flights did you go for in the end @Reno_LV ? Used to be really easy with Easyjet, fly on Friday morning, come back Saturday evening. Seemed to have stopped half their flights now with odd days only now. Would love to go at some point. When you say Geneva was expensive, how expensive is expensive? Hotels reasonable. Show entry cheap. Public transport cheap. Going out on the drink extend mortgage. Burger chip and pint in average restaurant cost more than the Easyjet flight to get there. Unless you're going mad it's actually very reasonable all in given that you are going to spend a bulk of the time in the show. @impact flights were around £300 then dropped to £150 and back to £200 night before! I was covering for Yokohama so don't know how much were mine in the end! I usually fly sat morning there and back same evening! Couldn't afford to stay lol!